I just got back in from visiting my family in Dayton and MAN, did I have an action-packed weekend of celebrations! I don't do a ton of talking about my personal and family life around here, so I thought it might be nice to give you a glimpse of what we had going on. Sorry that these are all phone pics, but such is life. Zach and I have been shopping around for an actual professional camera, so hopefully my pics will get a major upgrade soon! Also, in case you were wondering yesterday, the first Monday of the month is usually when I do a chapter recap from our Happiness Project, but I decided (in the name of happiness) to spend this weekend focusing on enjoying my family instead of blogging, so that post will be coming up this Monday! Now onto the celebrations! First up, on Saturday, my sister Brooke and I went to our friend Kelly's bridal shower. It was a gorgeous party and the bride-to-be was SO happy! Her family even got gluten-free cookies for me, which was just the nicest. 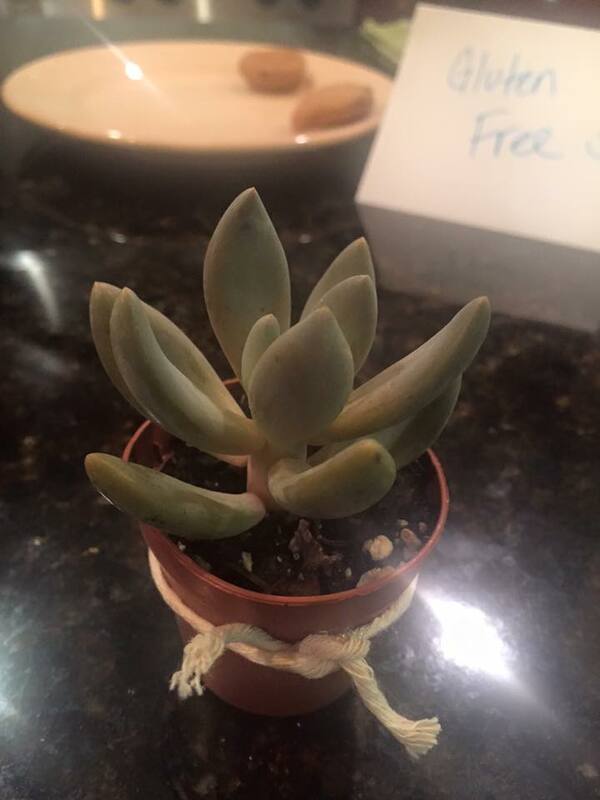 And how cute are those succulent souvenirs?! Later that night we met up with our sister, Angie, and her family to watch fireworks with the kids. Our niece, Callie, and nephew, Weston, were so excited about the fireworks that they were literally just jumping up and down and yelling by the end. It was so much fun! The next day was a surprise party for Weston's 7th birthday. 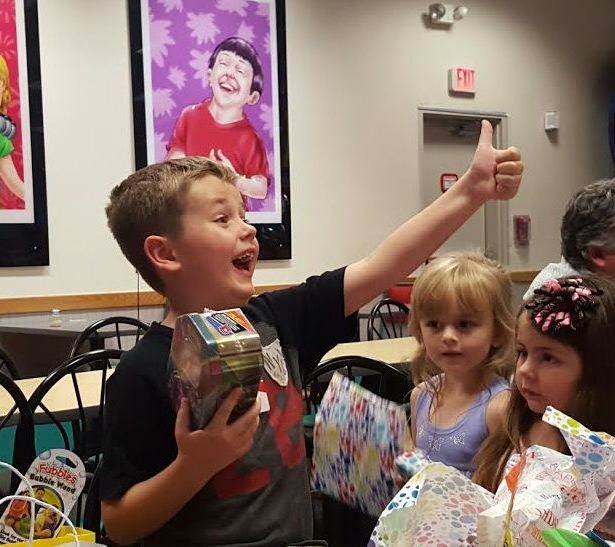 Angie had told him they were going to just do something fun as a family and keep it small, so when he arrived to Chuck E. Cheese and saw all of his friends and family, his mind was blown! Look at that face! It's pure and total happiness. Sidenote: How cool is it that they get to go into that ticket machine?! I wish they would have had that when I was a kid. Weston likes the kind of games where you're constantly collecting pieces, like Pokemon and Skylanders, and, frankly, it's hard to know what he already has or still wants. So for our present to him, we made one of those money surprise boxes I kept seeing on Pinterest and it was a total hit! It was really easy to make. We just taped dollar bills together, rolled them up, and placed the roll into an empty tissue box. Then we taped the top dollar bill to a bow to cover the box opening so that when he pulled off the bow it revealed this dollar chain that kept going and going. He really loved it and was even wearing it around their house the next day. That night we hit the town with our brother, Dustin, and his wife, Nerony, who had flown in from New York. From left: Brooke, Dustin, Dad, Me, Angie, and Nerony. 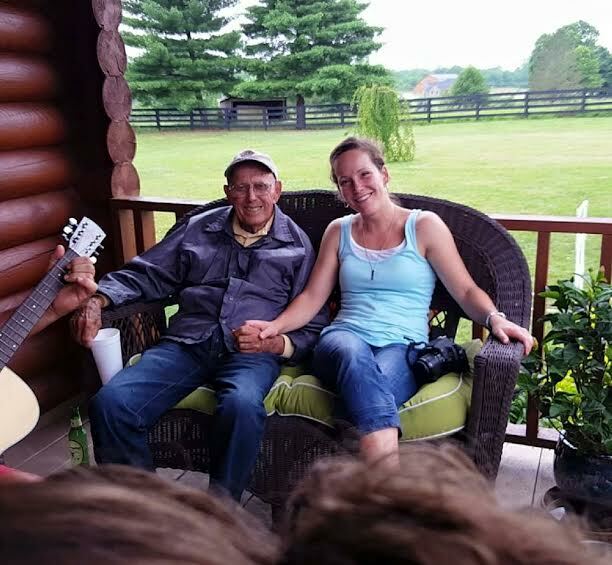 We sang, we danced, we laughed, and then the next day we got up and celebrated the Fourth of July, which is also my dad and grandpa's birthday! My grandpa turned 91 this year and he's still going strong! 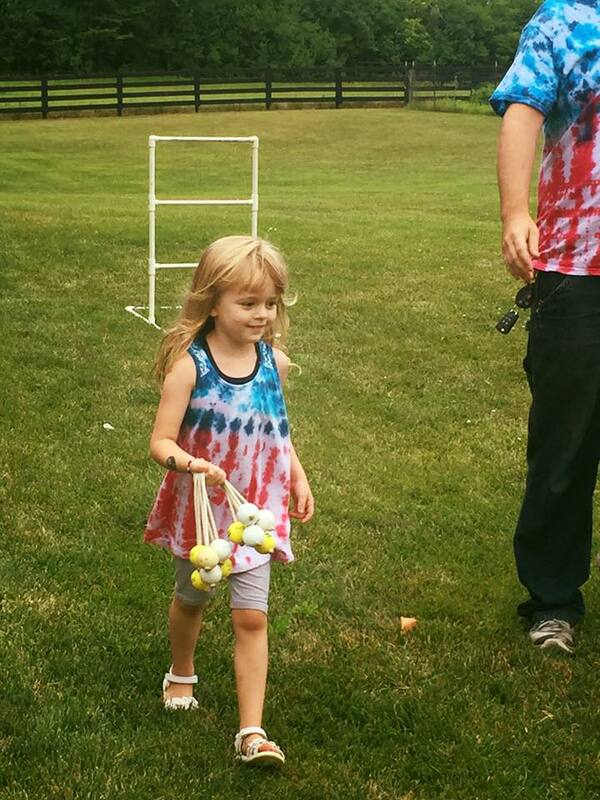 With both birthdays on the 4th, this is always our Wills family's biggest holiday. People come in from out-of-state and we spend the whole day together. My aunt and uncle hosted this year. They live in an actual log cabin that they built in the country. They even have a chicken coup, which the kids were really excited about. It was such a beautiful place to celebrate the holiday. It was like stepping back in time in the best possible way, like an idyllic, serene little vacation. 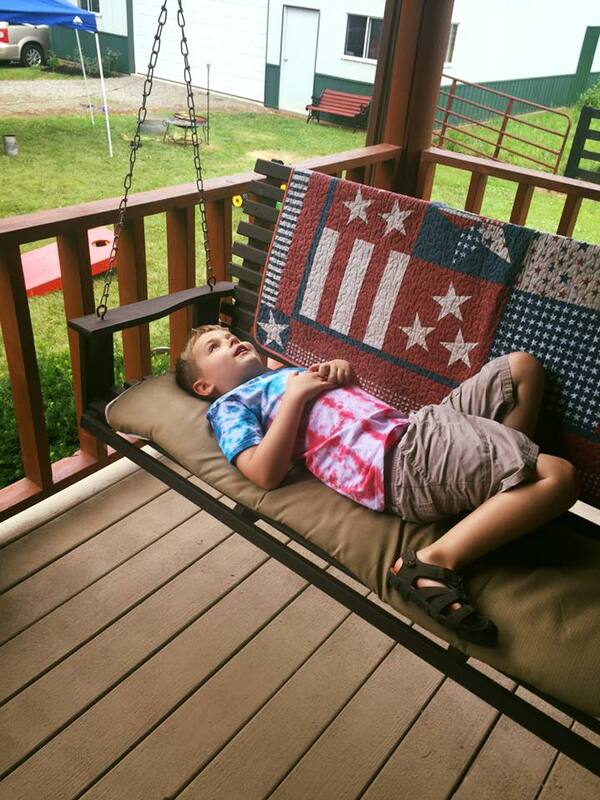 Do you have any Fourth of July family traditions?